The official object of this game of Japanese wrestling is to throw, trip. pull, push or force your opponent off the safety mat or onto their back. The winner is allowed to "splat" his/her fallen opponent! This is hilarious fun for all ages, both the wrestlers and the spectators! Traditional sumo suits for the under 10s - square up for an old fashioned battle! 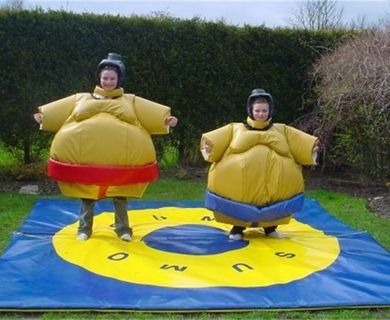 Why not hire both adult and child sumo suits together and provide fun for all the family! 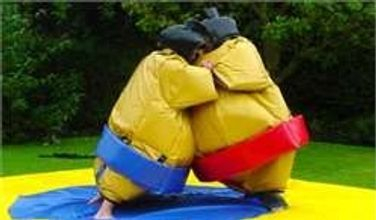 Sumo Suits can be manned, such as for public events. Please contact us for a quote.